Kell is one of the last travelers - magicians with a rare, coveted ability to travel between parallel universes connected by one magical city. There's Grey London, dirty and boring, without any magic, and with one mad king - George III. Red London, where life and magic are revred- and where Kell was raised alongside Rhy Maresh, the roguish heir to a flourishing empire. White London - a place where people fight to control magic and the magic fights back, draining the city to its very bones. And once upon a time, there was Black London. But no one speaks of that now. Now perilous magic is afoot, and treachery lurks at every turn. To save all of the worlds, they'll first need to stay alive. - excerpt from book cover. 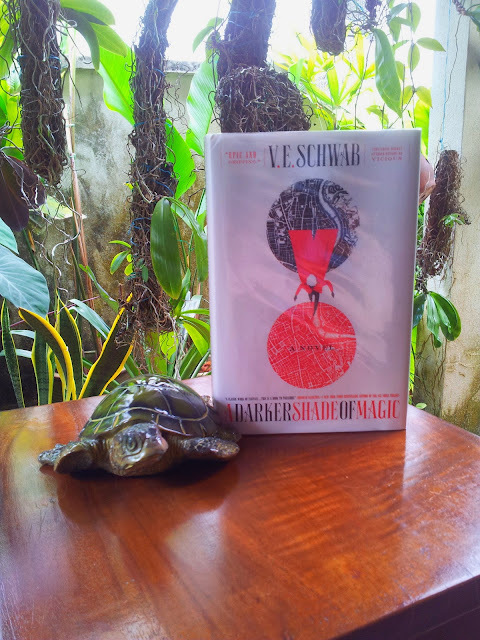 A Darker Shade of Magic by V.E Schwab is a adult fantasy series and this is the first book of a trilogy. The author is a new favourite since last year and how could I pass when a new book is published. After seeing the cover of the book it got me even more excited and it took some time before I manage to get the hardcover version (the book was out end of Feb). I dive right into the book immediately with much anticipation. The book started slow introducing our main hero and explaining the basic mechanics of his abilities. I got a little bit confused on the magic system for traveling between worlds but it was easier to picture after frequent occurrences of it. Comparing the book to Vicious (her first adult fantasy book) this is slower and the other book is fast paced. The difference is because this is a trilogy and the other is stand alone and we all know the first book is always how you set up everything about the world, the people living in it, the characters and all the details necessary. I absolutely loved the description of the different Londons and wished the map expanded bigger or a drawing of the maps included in the book. Another thing that I loved that the author did is italicizing words to emphasize thoughts and stress upon it. I also really like the chapter titles more than books who only uses numbering for chapters. It shows how much more thought the author put into that chapter giving it a title and indicating the direction. I also have to point out that languages were invented for the different Londons which made this a truly good fantasy book because the world is created and defined in many ways, not just by landscape. 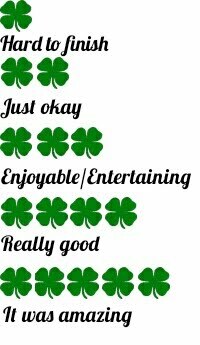 I absolutely love what this author did and she truly shows she can keep writing better and better. The characters of the book are really likeable, especially how their personality is slowly revealed throughout the story. The side characters were just okay as not much is revealed about them yet and I think there will be more next book. The plot of the book is very good, so so hard to predict, my favourite type. The twists in the story was really good too, so so exciting and fantastic. I only think the book is too short and I just wanted more hence I gave it 4 stars on Goodreads but it's actually 4.5 stars for me. In conclusion, this was a very good book for a first in the trilogy. I like the pace of the plot, the setting of the world, and the magic system. There is more to come in the next book and I'm anticipating greatness from the author as she has not made me feel disappointed at all. I highly recommend this book to fantasy lovers and also fans of the writer. If you read her YA books and Vicious and loved it, you'll definitely love this one too. This book has easily made it's way into my favourite books read this year. Marguerite Caine grew up surrounded by cutting-edge scientific theories, thanks to her brilliant physicist parents. Yet nothing us more astounding than her mother's latest invention - a device called the Firebird, which allows people to leap into alternate dimensions. When Marguerite's father is murdered, all the evidence points to one person - Paul, her parents' enigmatic star student. Before the law can touch him, Paul escapes into another dimension. having committed what seems like the perfect crime. But he didn't count on Marguerite. She doesn't know if she can kill a man, but she's going to find out. As Marguerite races through these wildly different lives - a grand duchess in a Tsarist Russia, a club-hopping orphan in a futuristic London, a refugee from worldwide flooding on a station in the heart of the ocean - she is swept into an epic love affair as dangerous as it is irresistible. - excerpt from book cover. 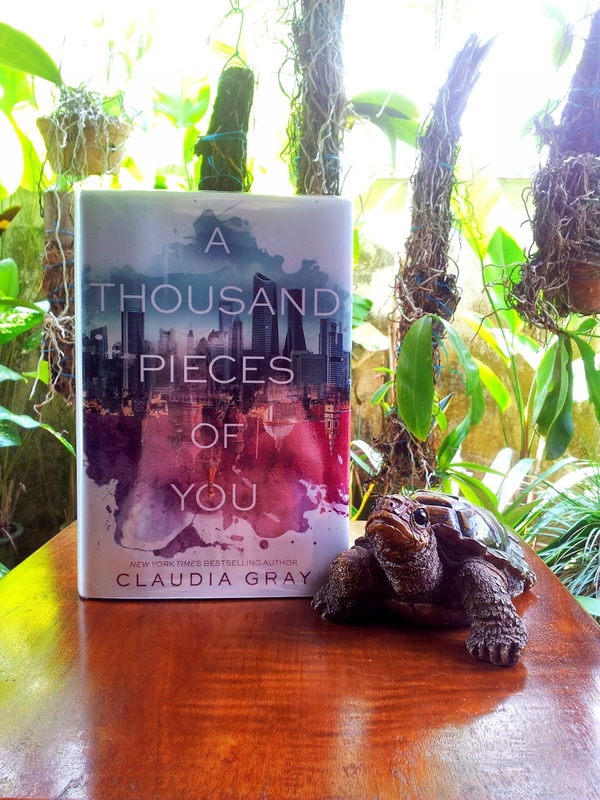 A Thousand Pieces of You by Claudia Gray is the first book in the Firebird trilogy. Firstly, the cover of the book is so gorgeous and so perfect for the book. The other thing that attracted my attention is the summary of the book, it was already so exciting. The first page itself got me hooked and it was hard to put down the book as it was really exciting from the beginning. The adventure begins right away and along the way things that you don't understand will be revealed. I like this type of writing because something about the past not only expands your story but also reveals the personality of the character who is recalling a memory. The book has a unique story which is traveling to different dimensions and the thing I like about it is the mechanics to it is simple to understand. The author did not make it difficult and invent something too complicated for the story. If the science is too complicated, flaws are bound to happen. When readers have questions in their minds and if unanswered then it's a flaw to me. Keeping things simple makes the book more enjoyable without having to think too much and it's easier to picture it in your head. The plots are really smooth and so so hard to predict, so many good twists in the storyline. My heart leaps when it comes to the romance of the book. I really feel the relationships and it got me crying at one point as I realize I totally fell in love with the characters. I like the way we get to slowly learn about the characters in the past and present. The side characters were really good too, they compliment the story really well. The main character's growth in the story was present and I thought it was suitable for her. One of the side characters also gave me the feels for him but I think in the next book things might change for him. I really like the writing method that this author used for character build up. "I would love you in any shape, in any world, with any past. Never doubt that." - page 203, line 21. Nathan Byrn is on the run. His gift from his murderous father is a wild new power he can't control. He must find the girl he loves who may have betrayed him. In a war between black and white witches with his loyalties split between both the greatest danger Nathan faces might be himself... - excerpt from back of book. 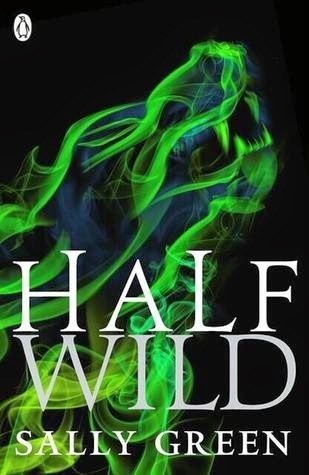 Half Wild by Sally Green is the second book after Half Bad, it continues right after the ending of the previous book. I was excited to continue this book as the previous book had a suspended ending but unfortunately for me I couldn't remember much of what happened previously. I skimmed through the first book before starting this one. It started off slow for just a bit and then action and then slow down and then action. Imagine yourself on a roller coaster ride that keeps going up and then down quickly many times throughout the plot. While I was reading it, it felt really annoying because there was a lot of jerking on the reader but after I completed the whole book I felt that it was quite a good plot in the end. This second book can seem boring at some parts but the twists were really good. The "boring" parts are important as it's where you get to know new characters which were really interesting, let them grow and also letting our main character grow at the same time. One character from the previous book was introduced quite late into the story but in this book, there's more of him and it was good to have him around, it truly made a difference for the main character. I like that we get to know more about the main character's trusted friend and to see him grow too. There were some qualities of the main character that I did not like at all and I feel that it was because of his behaviour, the ending was as such. It proves to show that the author planned really well for how the main character would be and how it would impact the plot. What I feel lacking in this book is when there are fight scenes, it's not detail enough and too brief for me. I also wished more magic were used in fights, instead there were guns. The magic in this book is just too lacking but the plot and the characters make up for it. Towards the end of the book, things get heated up really good and I loved the direction of the story. The ending was good and like the first book it was a cliffhanger type. Honestly, it was not bad for a second book but it wasn't as good as the first one for me. It didn't grasp my attention completely at the start, only towards the end it was hard to put down the book. I think the lacking in magic and fighting made me a bit disappointed. The ending would be the only reason why I would pick up the last book because I would like to know what happens after that but it's not like I'm super eager or excited to get my hands on it. I don't mind waiting and I have a feeling I would forget this book by the time the last book is out. This book was good but not good enough and it contributed in making me drop its favoritism a notch. Gwen has a destiny to fulfill, but no one will tell her what it is. She's only recently learned that she is the Ruby, the final member of the time-traveling Circle of Twelve, and since then nothing has been going right. She suspects that the founder of the Circle, Count Saint-Germain, is up to something nefarious, but nobody believes her. And she's just learned that her charming time-traveling partner, Gideon, has probably been using her all along. Will Gwen finally uncover the secrets of the Circle and learn her own fate? - Excerpt from book. 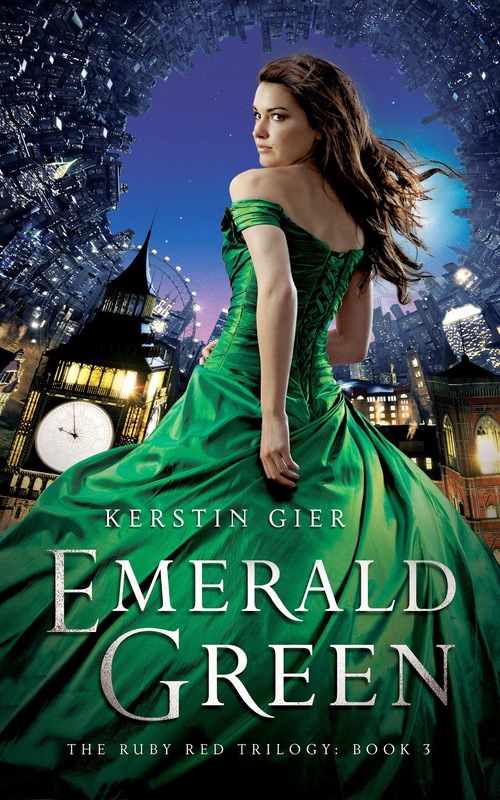 Emerald Green by Kerstin Gier is the final book in the trilogy. I had my reservations when it comes to reading this last book as I didn't want the story to end and also I was afraid that certain incidents will not be explained. If those butterfly effects does not take place then the whole story is flawed. But fortunately for me, those butterfly effects occurred in the book and I really loved it. While reading this book, all I wanted is for everything to connect and when it did it was fantastic. The plot was just so so good, I couldn't put down the book even when my eyes were tired. The timeline of things happening are just perfect to me. The introduction of another character into the story even though he plays a small part was essential, it made things more fun for sure. The characters that are crucial to the story did grow a bit and other side characters were just as good. The romance element in the book wasn't the main highlight as it was just okay. I think it was only important as a motivation for the characters in the book. The actions and reactions of the characters were really spot on too. At one point, I was quite annoyed with one of the side characters that if I knew her in real life, I would have slapped her. This just shows how good the author can write and make life into the characters. Ultimately, I truly enjoyed the mystery in the book and how it slowly unfolds. I loved every moment in the book and just wished it was longer. Reading it fast because I was excited but slowing down sometimes as I was reluctant for it to end. I like that the author did not make things too complicated as it would be hard to cover up all the effects of the characters' action in time traveling. The whole story captured my heart and this series has won a place in my favourite series. I would definitely read more books by this author though it will take some time because her books are written in German. I think I must give credit to the translator because she did a good job as the sentence and grammar did not seem off. I highly recommend the book to people who love time traveling subjects, little bit of romance, some comedy, fantasy and lastly London in the olden days. I'm so satisfied with the book, I would definitely read it again in the near future.